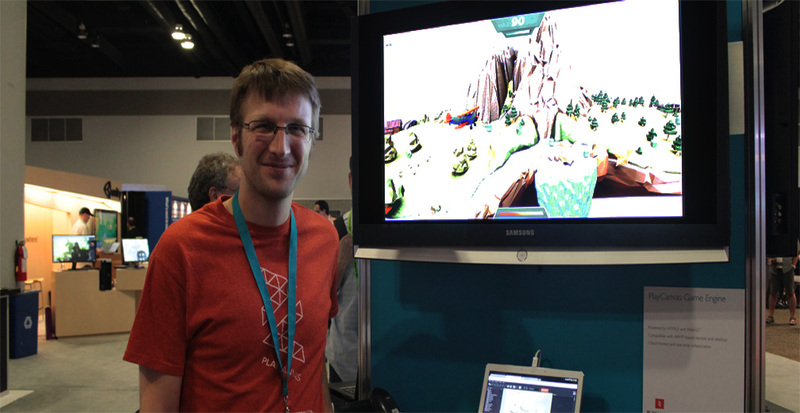 Siggraph 2014 was not only a special place to show the abilities and new features of edddison, but also an incredible platform for exchange and observation of other technologies. We came across fantastic ideas, from kick-starters till very solid enterprises with new and amazing products. We will present now some of the projects we consider more interesting, not only because of their coherence and conceptual weight, but also, because they somehow resonate with common interests of edddison. All the projects presented hereby are subject of our respect and admiration, different enterprises that are working hard in cutting edge technologies. Please take in consideration that Siggraph has a non reproduction policy and we highly respect and subscribe to that, all the material here is not for reproduction nor for advertisement, just a playful journey on what we saw and lived during that fantastic week in Vancouver. 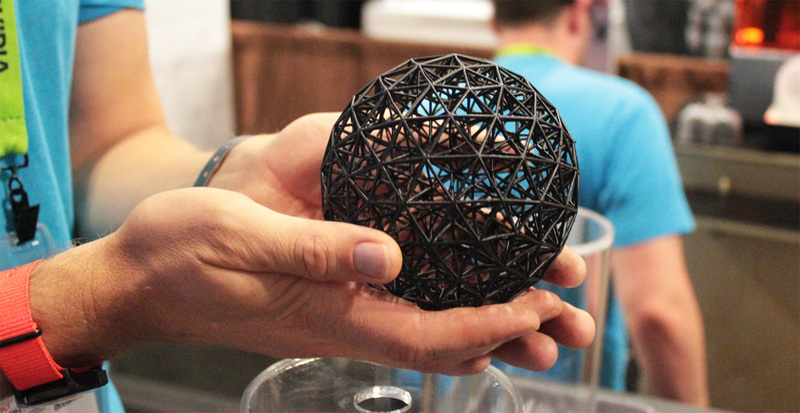 Formlabs introduced their new high-resolution desktop 3D printer Form 1+, a stereolithographic technology with professional grade printing capabilities. The finish of the products amazed us, the extreme resolution in very small pieces let to very intricate figures. These small desktop printers are not so costly, procuring affordable solutions for engineers, artists and designers. Some other companies presented similar technologies, but for the prize, the quality of the Form 1+ was without doubt far superior. Very kindly a technician of Blender Foundation was there to explain how the technology works: Blender, a complete free and open 3D creation suite. We were delighted by the enormous capabilities of the open source system. With high quality standards this suite is used in Film, gaming, research, education and other fields. 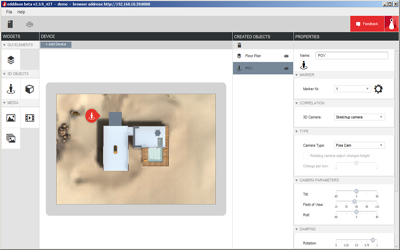 Very comprehensible and user friendly, it allows you to create, manipulate, change, render and modified 3D objects. The video editor impressed us also, within few steps in a simple but useful platform, it lets not only to make basic video editing, but allows to insert the blender generated 3D models straight on the video timeline. Blender is a very incredible 3D suite to make complete products from scratch. It seems that the Blender Foundation is a very complex engine, were many developers are involved, more than an enterprise; this non-profit organization is becoming a very successful research institution. 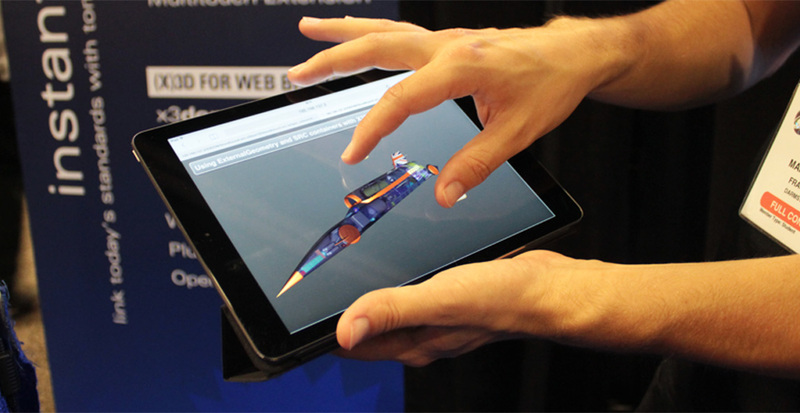 Continuing on browser-based technologies is also the project playcanvas that developed a complete game engine for WebGL. The very friendly Dave Evans presented to us his technology. This incredible tool is simple to use and allows developers to make collaborative changed in games due to its real-time and community editing capabilities, it does not only lets the creation of games but also serves as storage system for the produced data. We approached also the Chaosgroup with their V-ray engine and enquire them on the advantages of real-time working, the answer was extremely useful: “ Real-time, allows artists to make interactions quickly, it is possible to be creative very early in the pipeline and make decisions on the spot. It gives back spontaneity to the process, allowing a visceral creative process to take place”, for us the possibility to adjust while on the making is extremely important since it leads to a better creative process and therefore accurate results. It seems than more and more the creation process is highly valued by different enterprises, which continually improve their technologies to facilitate processes. It seems that in general, for the exposed projects in Siggraph, the user is a main drive. 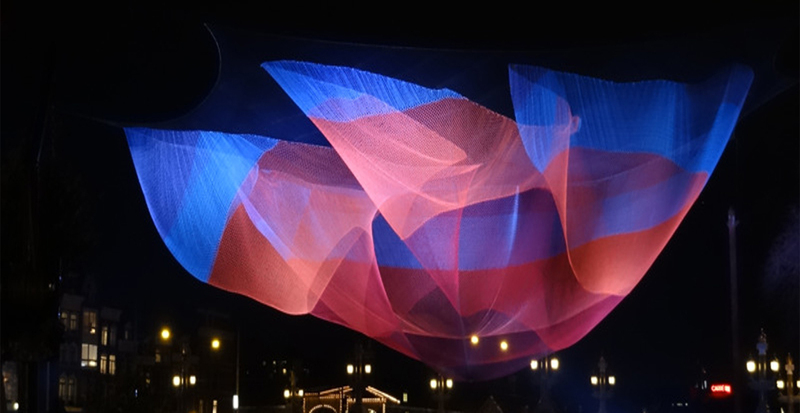 Within the big representation of Autodesk in Siggraph we were very impressed by the Autodesk Gallery were it was possible to see the work of the contemporary public artist Janet Echelman. Using all the technological support of different Autodesk suites it was possible to follow the process of creation from origin and sketches, till the physical manifestation in the streets of Vancouver. Inspired by fisherman nets, Echelman developed an enormous sculpture that floated across the sky. She used an extreme volumetric form with very light materials. 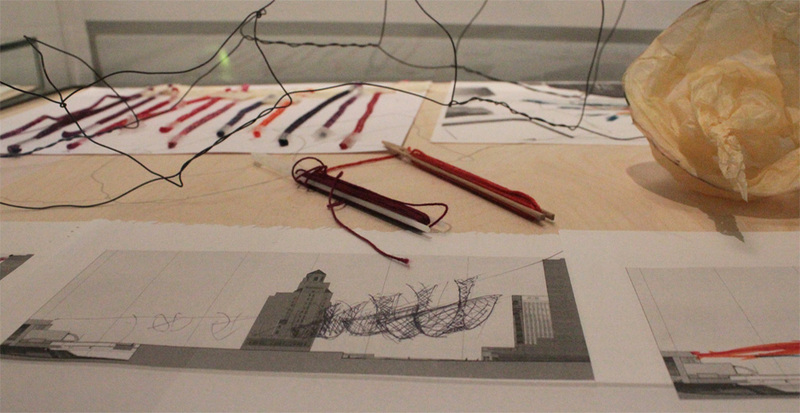 What was more interesting in this presentation, was the accompaniment of the technology to the idea, this following the pipeline of creation from start to end. Inspiring also was the Esri City Engine, a system that creates realistic urban environments; a software that allows the construction of city models. 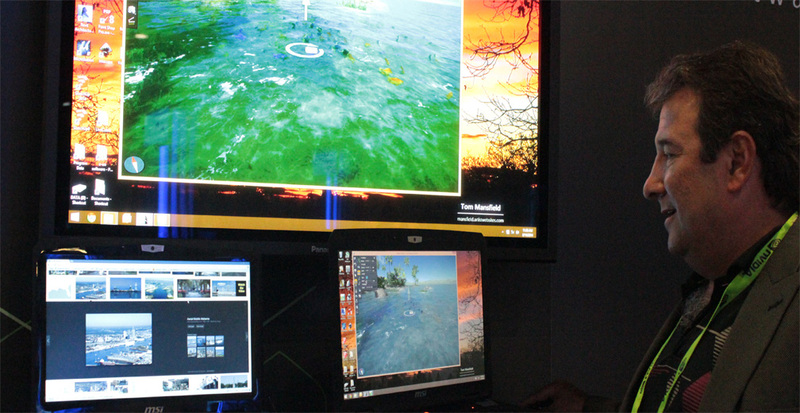 It is meant to help on urban planning, architecture, simulations, game development and film production. It has very easy to use editing tools and sharing capabilities. We were ecstatic just thinking on the incredible possibilities that an engine like this one could have in combination with interactive tools. 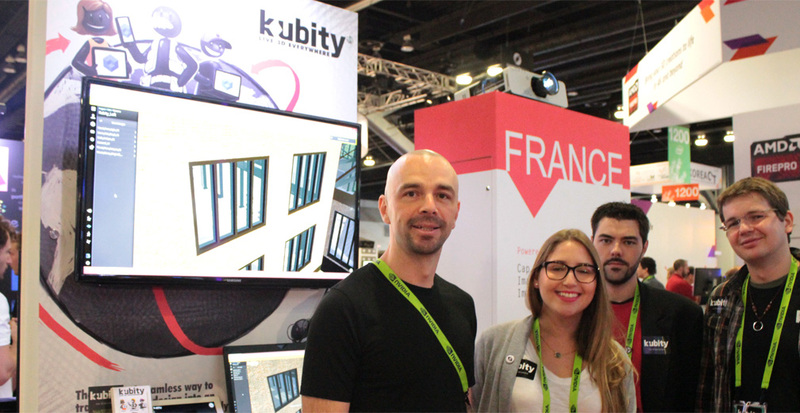 Devoted to 3D interactivity are the friends of Kubity, this engine, which has common interests with edddison, allows the usage of 3D files from SketchUp transforming them into interactive possibilities. Kubity use cloud technology and very easy to share files, it allows also the use of augmented reality. Similar in ways of approaching 3D data, Kubity is more focus on the immediate sharing of the 3D experience, while edddison works deeply in the types of interaction for generating customized 3D applications. 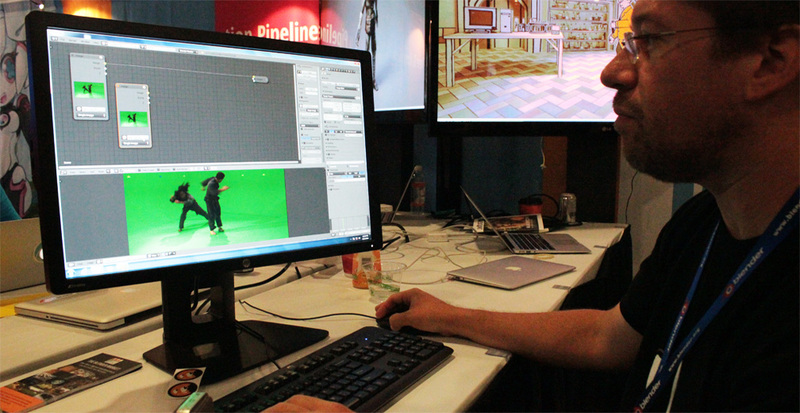 Siggraph 2014 offered an extensive panorama of what it is happening in the world of 3D data. We are happy to be part of the family of 3D visualization and that we had the opportunity to share updates on edddison while learning from other companies experiences.